Pull the lever towards you. It will return to the normal position when released. 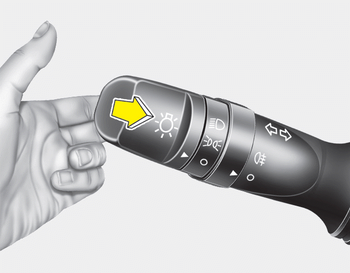 The headlight switch does not need to be on to use this flashing feature.